It doesn't matter whether you think the federal estate tax will be minimal or whether you have an estate tax return form in front of you and think you understand the estate tax definition and estate tax exemption, there are a plethora of reasons to hire a CPA. If you don't understand taxes issues such as the inheritance tax rate, gift tax laws , and trust tax rates, you will be attempting to handle things that could cause you to have a monetary penalization. This is a cautionary wake-up call to hire a CPA (Certified Public Accountant). When you have completed the following test, I believe you will understand why. What is the asset dollar amount an estate must have before it is responsible for paying estate tax? Name three estate tax exemptions . What are revocable trust taxes? What does an executor need to do if the deceased has not reported the last 5 years tax returns? What are current trust tax rates? How often is tax paid on trusts? If there are stocks with dividends being paid on an estate worth less than $400,000 in assets, on what tax return will dividends be reported? When are executors and trustees paid? What is the least amount of income that can be added to the estate after the deceased has died before tax needs to be paid to the IRS? 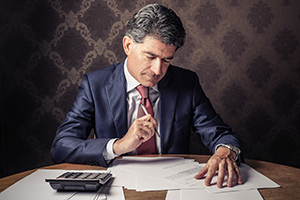 What is the standard rate of compensation for executors and trustees ? What is the legal amount of turnaround time for an estate to be settled? Do the deceased’s debts need to be paid? Does gift tax apply to an estate or trust? If there is a paycheck that is paid after the deceased has passed away, which withholding tax needs to be paid as income? Is an income tax return due for the year in which the deceased died? Does your state have trust tax? Does your state have estate tax? Is the executor financially responsible in any way? Is a trust an asset? When may the assets of the deceased be distributed? If you are now convinced that you need an experienced CPA to help you with your estate tax, gift tax, or trust tax, call me, Sean K. Butler, CPA. If you are in zip codes 77042 77043 77079 77024 77077, you are right in my area!